Hello and welcome to the Strange Carolinas Best Of NC Awards!!! 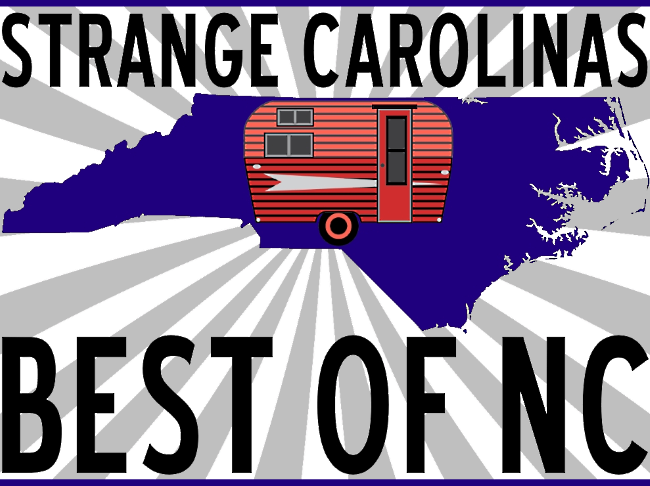 From now until February 15th, let us know your favorites in the Music, Art, Food, Shopping, and Strange North Carolina categories. We'll compile the top 10 from each and then open up voting to crown the champions! If you have any questions, feel free to reach out to us at strangecarolinas@gmail.com.